How many streaks are too many? I want to start another streak. A yoga streak. I need to get my personal practice back. Bad. The other day I subscribed to Udaya so that I would have lots of classes to choose from and no excuses. My pre-streak started today when I woke up, took a hot shower, slathered myself in coconut oil, put on my yoga togs and walked to Sandy’s class. Hip openers were on the menu today, and they were sweet. I so appreciate being able to take a class, and not have to teach all the time. I took Lisa’s spot in the back corner. Now I know why she likes it back there. It’s cozy, you’re under the skylight, and you have the illusion you can’t be seen by the teacher. The only way I can stay consistent with anything is if I make a Streak out of it. Today is my 60th consecutive blog post here, for example. Even if I wind up writing drivel some days, I am going to see how long I can keep this going. My longest streak on that platform was 1029 days. I have just about every badge on that platform except the NaNo badge. Next month I am going for it, which will entail writing 50K words in 1 month. 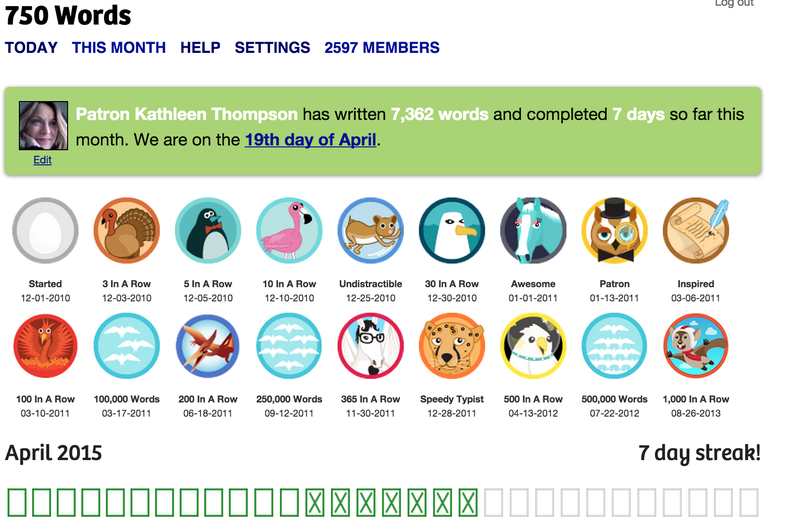 What this means is that I will be tending 4 streaks simultaneously: Blogging, Meditation, Yoga, and 750words. I love how these streaks both structure my days, and add value to my life as they keep me aligned with my highest goals and aspirations. But I also know the more streaks I have going, the greater the probability that I will bonk. It’s like juggling. Two balls are easy, it’s when you add the third and the fourth balls that you court disaster. « Sit Down. Shut Up. Don’t Move.